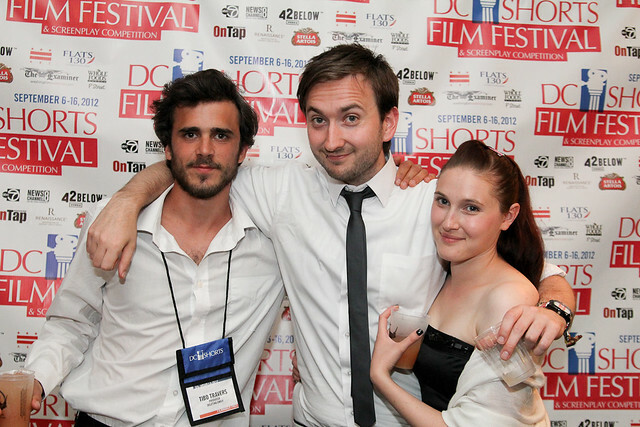 Enter your short film or screenplay in DC Shorts! Early deadline is Jan 31, 2013. The DC Shorts Film Festival and Screenplay Competition is the largest short film event on the East Coast. Now in its tenth year, DC Shorts will showcase 150 films from around the globe — including the largest collection of Russian short films to ever be screened in the U.S (new this year). Hundreds of filmmakers and thousands of audience members to mix, mingle and explore the art of short cinema. DC Shorts takes place over ten days in September. I’ve been a film judge, screenplay contest judge, screenplay competition manager, post-film Q&A moderator and photo coordinator. You name the job, I’ve probably done it. And the term I would use to describe this festival is “Quality.” Attendees and filmmakers have all remarked on what a professionally produced event this. Festival director Jon Gann prides himself on treating filmmakers well – it’s really a festival for them. Filmmakers can count on premieres before sophisticated cinephiles, as well as making connections with fellow directors. And some great parties. It’s no wonder that MovieMaker magazine called DC Shorts “one of 25 festivals worth the entry fee”. I strongly encourage local screenwriters and filmmakers to enter the competition. We love to highlight talented people from the greater Washington area. American University students have done particularly well in the competition. So save yourself some cash and take advantage of the DC Shorts early deadline of January 31. Enter your short film or screenplay and good luck! Wordpress or go for a paid option? There are so many choices out there that I’m completely overwhelmed .. Any ideas? Appreciate it! Hi Toby – I’d go with a free blog from wordpress.com to get started. WordPress is very easy to use. It literally takes minutes to set up a blog and start writing. For writing advice, check out my post on Overcoming Writer’s Block. It has practical advice on how to put pen to paper. Good luck!